Its back to school time and what better way to start the new school year than with a planner to keep you organized. We are offering two back to school bundles to fit different styles at a great deal! 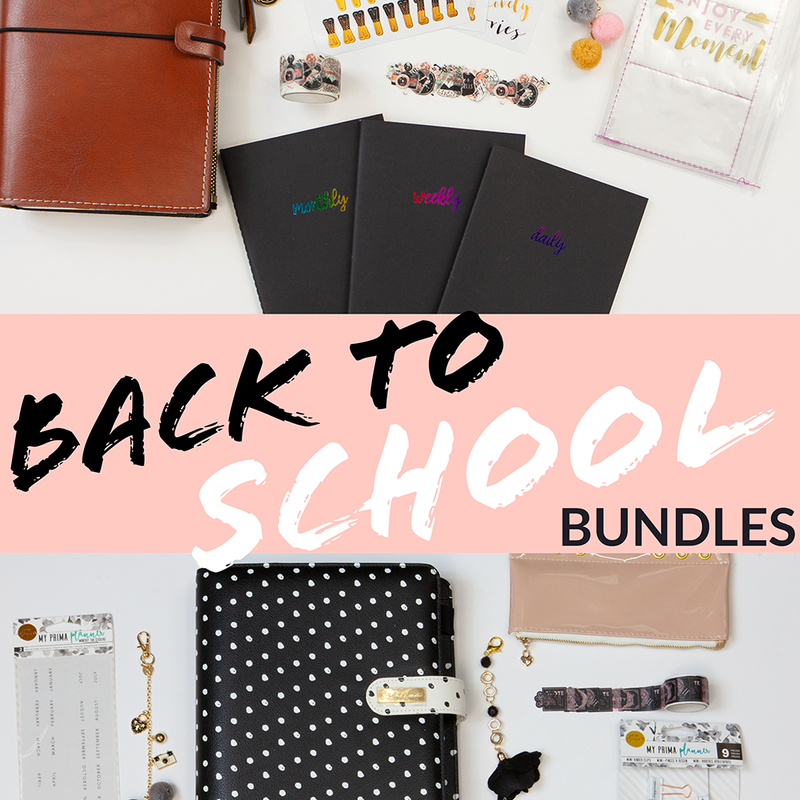 This bundle is for anyone who loves to plan and wants to have a more organized schedule. This is a ring-bound planner you are able to add and remove pages from. With the assortment of items in this bundle, it will allow for a full set up get you started in your planner plus making the planner stylish with the accesory as well. This bundle is for anyone who loves a journal and wants to combine it as a planner. This bundle will get you all set up and ready to get organized as well as document all those moments you want to journal about. To take advantage of these bundles head over to our shop section! Sales is limited time!